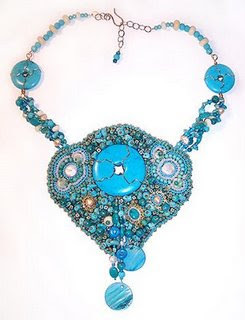 Beading Arts: Artist profile on "The Artful Crafter"
You'll find Eileen Bergen's links regularly in my weekly artsy link round-ups on Mixed Media Artist. This week, Eileen (aka The Artful Crafter) has posted a two part artist profile with me on her blog! I was extremely flattered to have Eileen ask me to do this.